Here she is to save the day! 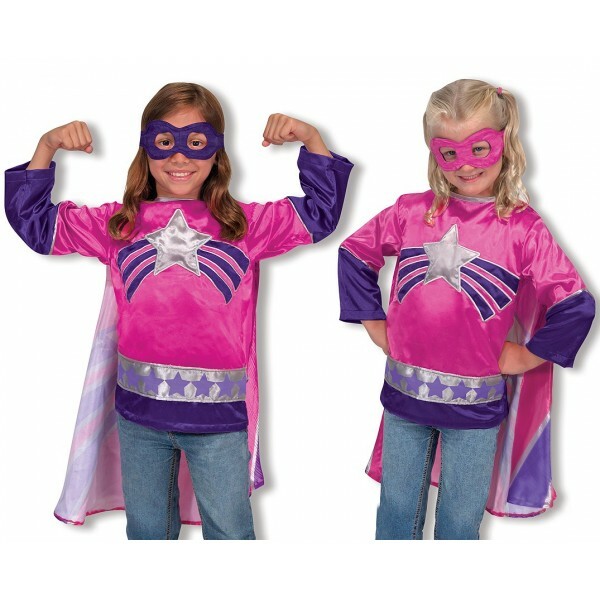 She can spy trouble through her reversible mask and race to the rescue with a swish of her cape. 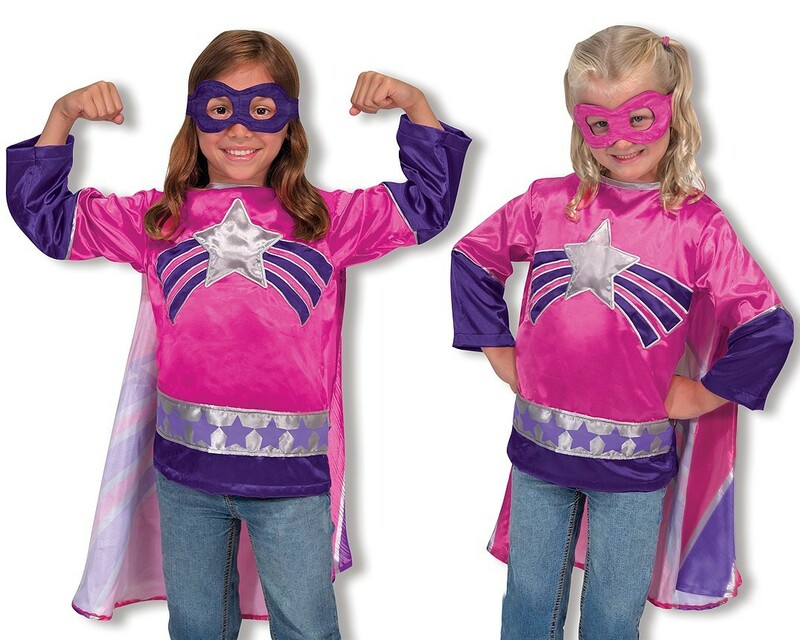 With these inspiring role-play accessories, your little super heroine's imagination will be super-powered. 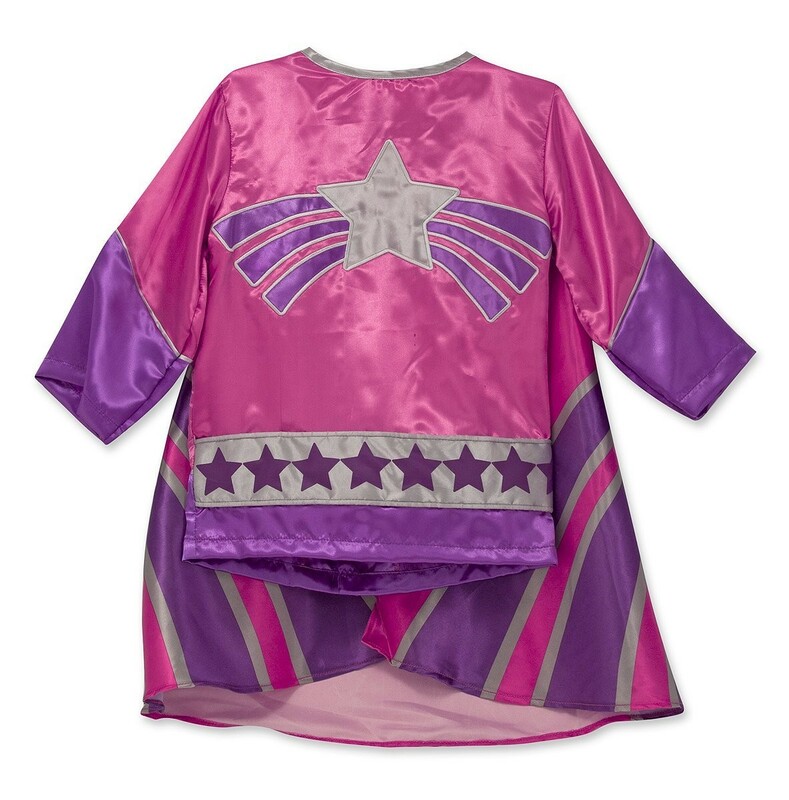 The satiny tunic fits ages 3–6 and is machine washable.